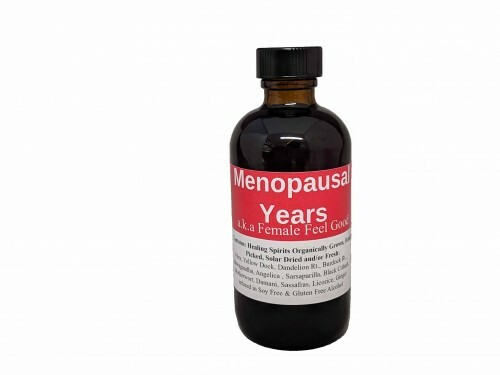 Traditionally used as a tonic for the female reproductive system and hormone imbalances. I made this for myself when I was going thorough Menopause, and I tweaked it until I got it just right. Made with Burdock Rt., Dandelion Rt., Yellow Dock., Vitex, Sassafrass, Black Cohosh Rt., Angelica Rt., Ashwaganadha Rt., Ginger, Motherwort and Licorice.